For Western fans, Toonami and Gundam go hand in hand—ever since the animation block aired Gundam Wing, the series in the long-running franchise that popularized Gundam in the West back in 1996. Now, for the first time in over a decade, Toonami will broadcast a Gundam series once more. Turner and Adult Swim has announced their upfronts for the coming TV season, and they confirm that all 25 episodes of the latest series in the franchise, Mobile Suit Gundam: Iron-Blooded Orphans will be coming to the network in June as part of Toonami’s programming block. It’s the first Gundam series to do so since Mobile Suit Gundam SEED in 2004. 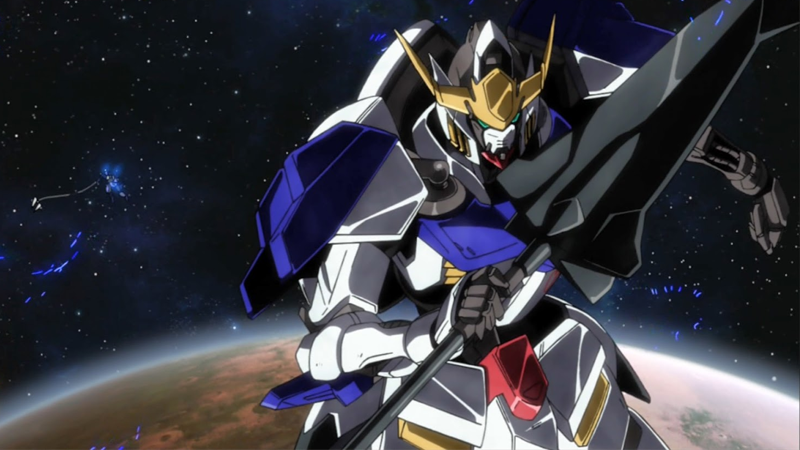 Set hundreds of years in the future, Iron-Blooded Orphans follows a group of orphaned child soldiers from Mars who rebel against their masters and set up their own mercenary group—including a young boy named Mikazuki, who pilots the Gundam Barbatos with deadly efficiency. Fans will probably already be familiar with Iron Blooded-Orphans, which made its debut in Japan late last year—the program was available to stream with subtitles through various streaming networks as it aired in Japan, including the official Gundam website. (In all likeliness, Toonami will be broadcasting the dubbed version of the show, which is being worked on by Sunrise.) Still, though, it’s good to see Gundam and Toonami together again.